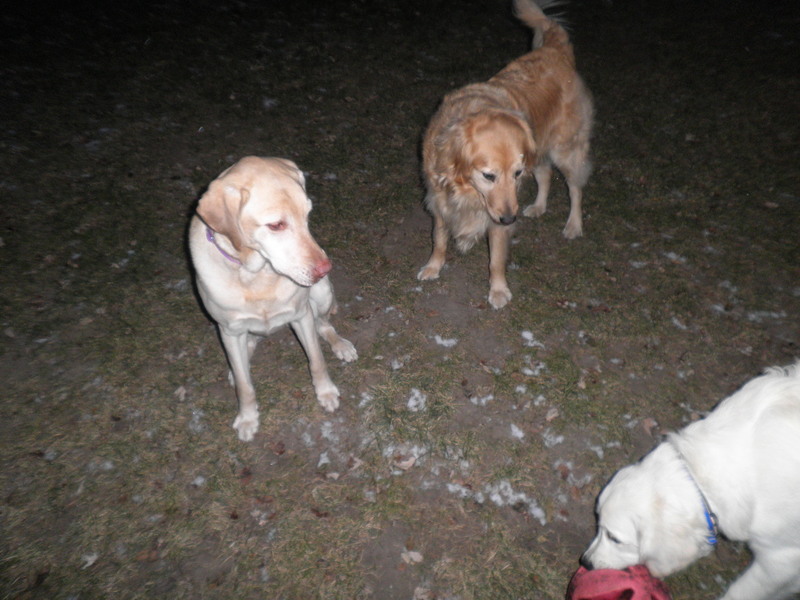 Angel is a 4 year old Golden Retriever and her sister is an 8 month old Golden Retriever. They are both wonderful sweet dogs. Angel is simply wonderful and is a great pleasure to work with. She learned what was expected of her very quickly. The problem is once she learned it. She then doesn’t want to do it anymore. I also need to work her around distraction and other dogs. Apparently she had issues with other dogs, but so far she has been great with every dog I have put her with. This makes me think that the real problem was freedom frustration. Sometimes when a dog is on a leash they develop freedom frustration. This is a situation where, because the dog doesn’t know how to walk on a loose leash. They see a dog, try to pull towards the dog, can’t get to the dog and get frustrated. The owner pulls the dog back which tells the dog that other dogs are bad. Another situation is where a dog when on a leash, feels that they can’t run away, so they growl hoping that the other dog will leave them alone. 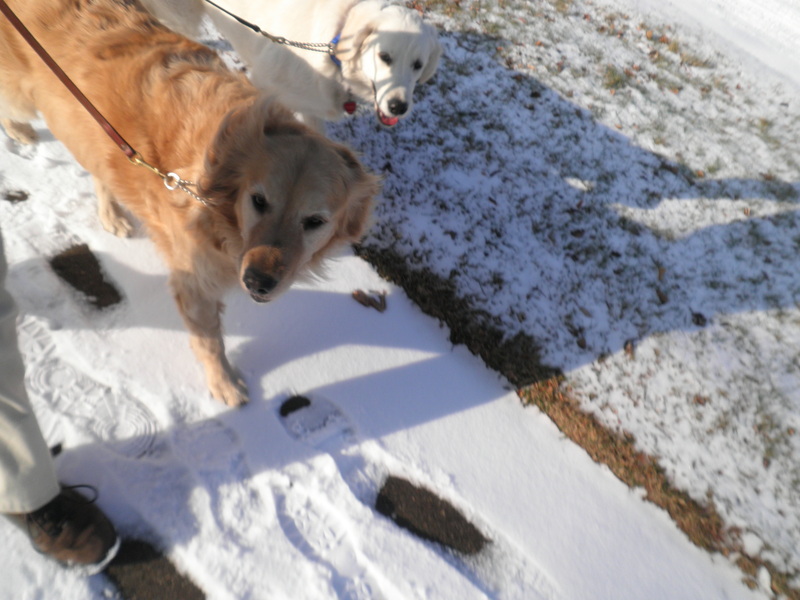 Once Angel came to my house she learned very quickly how to walk on a loose leash. Because of this there hasn’t been any incidences of her getting agitated by another dog. She went to the pet store today and even though there were other dogs she did great. Miami is another story. 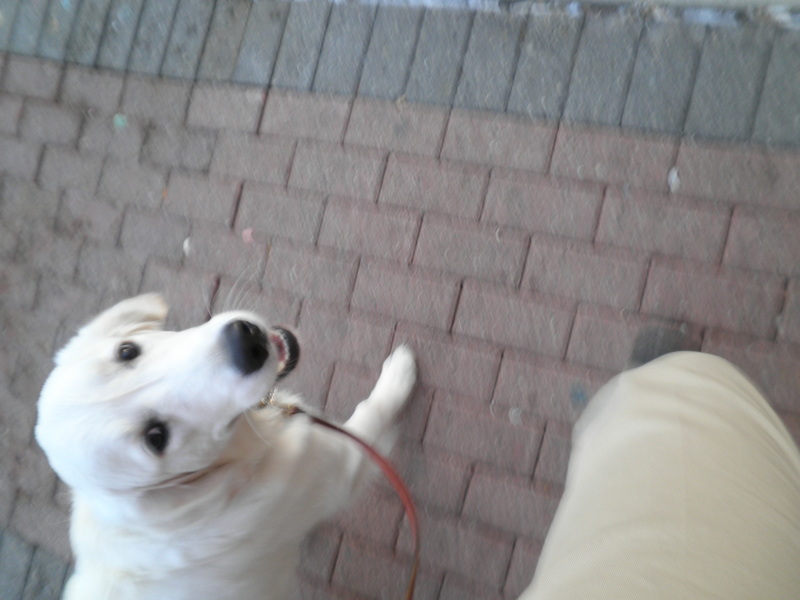 She is a sweet loving exuberant powerful Golden Retriever who wants everything her way. The good thing is that she is not very dominant. In fact she is very sensitive, but because she is so strong; Miami has learned to get whatever she wants. Some of her hyper behavior obviously has to do with the lack of exercise, but I also think some of it stems from her sensitivity. Being sensitive makes her get anxious when she doesn’t know what is expected of her or when she gets yelled at for doing something wrong. The first 2 days we addressed teaching them to walk on a loose leash. Believe it or not even Miami was walking perfectly by my side within 2 minutes. The biggest challenge is finding distractions and having them still walk on a loose leash. From the notes about Angel it states that she lunges and barks at other dogs. So far even when I take her places and there are other dogs she has not exhibited this behavior. The rest of the week was filled with working on sit, sit-stay, down and down stay. By the fourth day we started working on off-leash control. Initially I have been working them separately. They both are learning at different paces and it is important that they understand what is expected of them before we throw them together. Angel learns very quickly, but then thinks that she doesn’t have to do it anymore. Miami on the other hand is different. When we first started the training she thought that she just didn’t have to listen. She is very strong and would just refuse to do what was expected of her. Miami would throw a doggy temper tantrum, but in a passive way. Can't I go Christmas Shopping! If she couldn’t drag you down the street she simply would lay down like a dead weight and refuses to move. Now because she is sensitive it is important to show her what is expected of her the first several times using cookies and after that if she refuses then reinforce. She is now doing awesome. 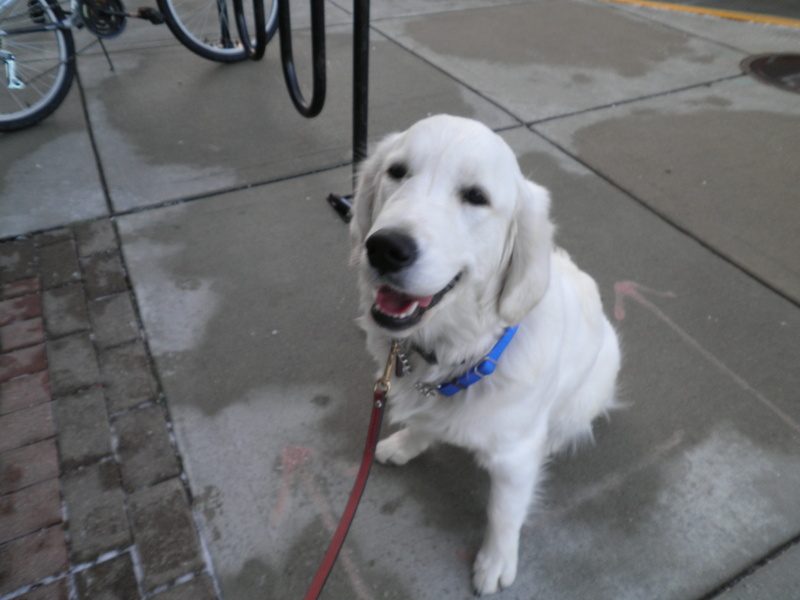 Yesterday she went to downtown Royal Oak and she did very well. She has had several trips to the pet store and once again is doing great. Now this isn’t to say that when she sees people her tail isn’t wagging back and forth. No. After all you don’t want a robot, but she stays in the heal position. She no longer jumps on me or my husband. I’ve had 2 guests to my house and she didn’t jump on them either. Okay she tried, but once corrected didn’t jump any more throughout their visit. Teaching her place (go to your dog bed lay down and stay.) will help with this. In Miami’s case the last phase is addressing her chewing issue. I believe her chewing stems from lack of exercise along with nervous behavior. It is like someone who is nervous starts biting their nails. This nervousness is from her looking for a leader to tell her minute by minute what to do. Because she chews in your presence; we can rule out separation anxiety. The final phase of bootcamp is to work with teaching “Place” and working with them together on and off-leash.